On our News page we have posted a preview version of the forthcoming Pure Vinyl 5. For a discount on an upgrade from older versions, see below. $80 Off Instant Rebate Coupon for New Users! 2. On the "Complete Order" screen, enter PV5INTRODISC in the box next to Update Coupon. 3. Click Update Coupon and the discount will be reflected on the order form. This discount may not be combined with any other offers. This offer will be withdrawn without prior notice, upon release of the final non-preview version of Pure Vinyl 5. Internet security measures require an up to date OS and web browser for ordering. Pure Vinyl 5 is compatible with MacOS 10.6.8 and later, but secure transactions now require a computer running Mac OS 10.9 or later. You do not need to purchase a license from the computer you want to use the software with; the license code is delivered via email. For more information on this topic, please see our News page. 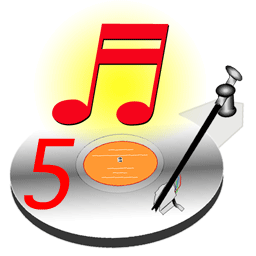 Pure Vinyl 5 is free for users who purchased a Pure Vinyl license after March 31, 2014. A compatible Activation Code contains the string PuVa-4000, PuVa-4100 or PuVa-5000 and will automatically be recognized by Pure Vinyl 5. Just download Pure Vinyl 5 and replace the version you are using. A $230 savings coupon is available for users with a Version 3 code purchased between January 15, 2013 and March 31, 2014 (your Activation Code contains the string PuVa-3100). For previous purchases (before January 15, 2013) a $180 savings coupon is available. Crossgrades for Pure Music 3 (and later) Pure Music users who purchased a Pure Music license after January 31, 2014 (Activation Code containing the string puMa-3000 or puMa-3200) can crossgrade to Pure Vinyl 5 at the current price difference between Pure Music and Pure Vinyl. For older Activation Codes, please contact Channel D.
To obtain a discount coupon for redeeming the above offers, please send us an email (softsales@channld.com) including the transaction ID (a string of letters and numbers starting with CH) from your original purchase. If you can't find it, we can look it up for you. We'll need the email and name used for placing the original order, and current Pure Vinyl or Pure Music (as applicable) Activation Code.